Early American Presbyterian governing bodies left the decision of singing psalms or hymns up to the individual congregations. 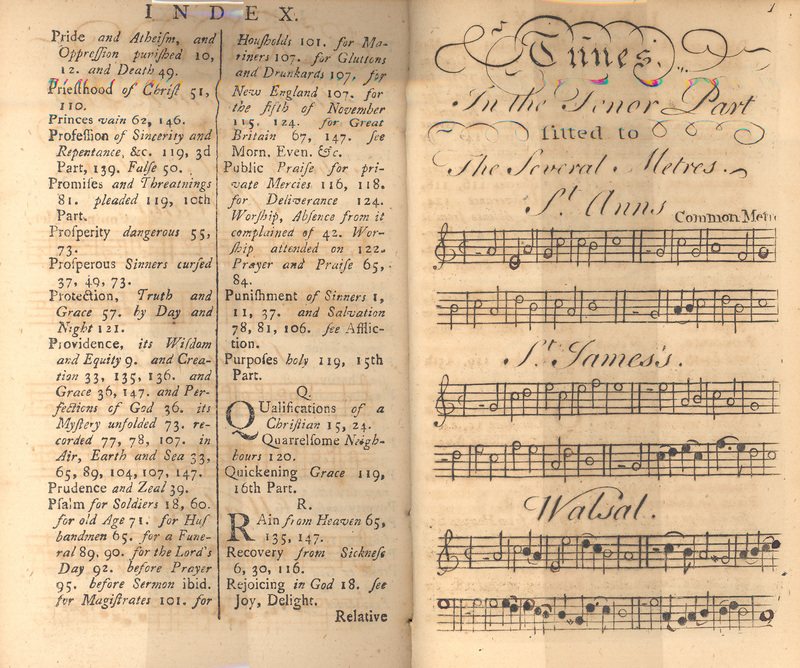 As a result, Presbyterian churches across the young United States used a variety of psalters and hymnals in their worship. During this period, most psalms were “sung” in a “metered” rhythm using psalters which contained words but rarely music. Timothy Dwight (1752-1817) is one of the most notable names of early American hymnology. A chaplain in the United States Army, Dwight later served as president of Yale College. 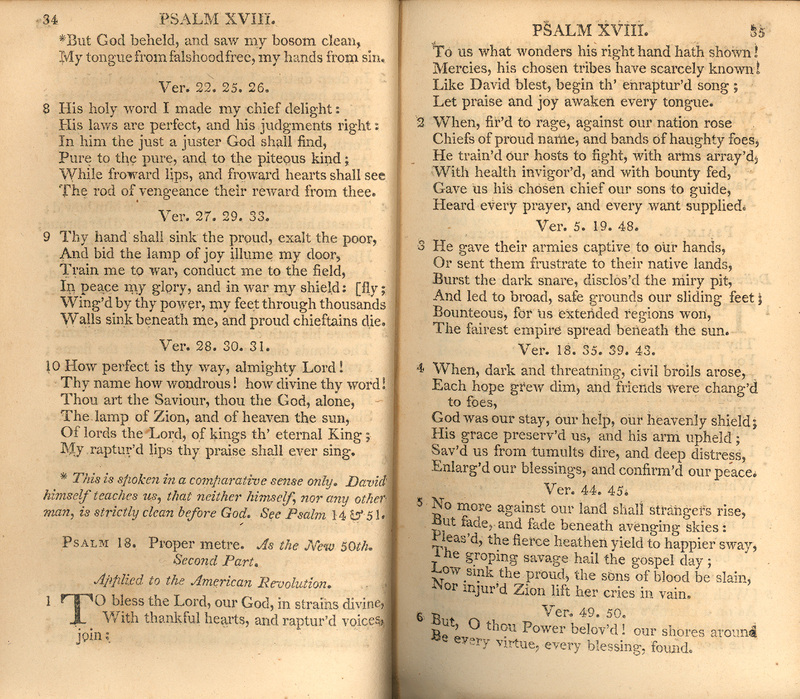 This volume, used almost exclusively in Connecticut, is one of the numerous variations on Watts' Psalms of David. Timothy Dwight. The Psalms of David, Imitated in the Language of the New-Testament, and Applied to the Christian Use and Worship by I.Watts. D.D. A new edition. New Brunswick [NJ]: A Blauvelt, 1804.